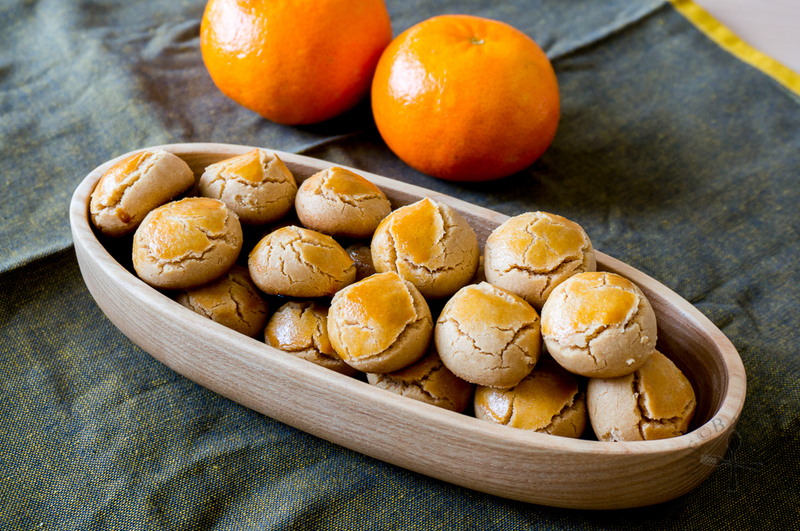 Here’s another Chinese New Year goodie that I love very much since I was a kid – Peanut Cookies! 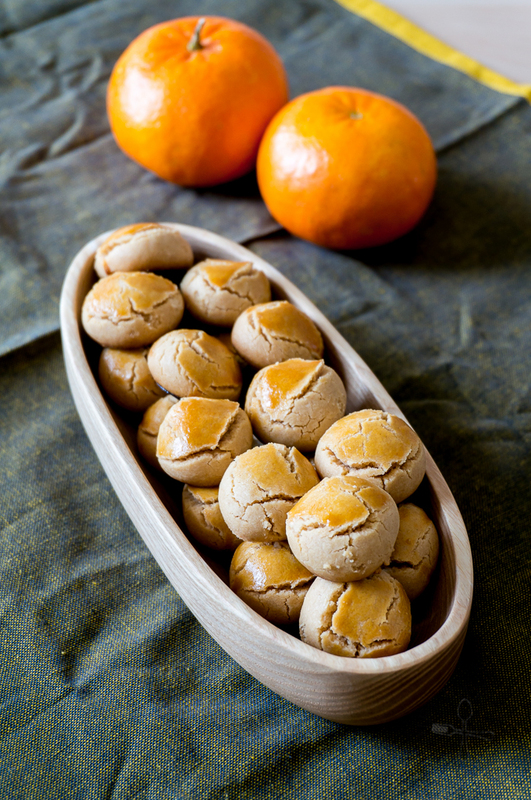 The traditional and authentic chinese peanut cookies are not easy to make at all – first raw peanuts have to be shelled and roasted. The peanut skin is then peeled off and the peanuts are ground into a powder. 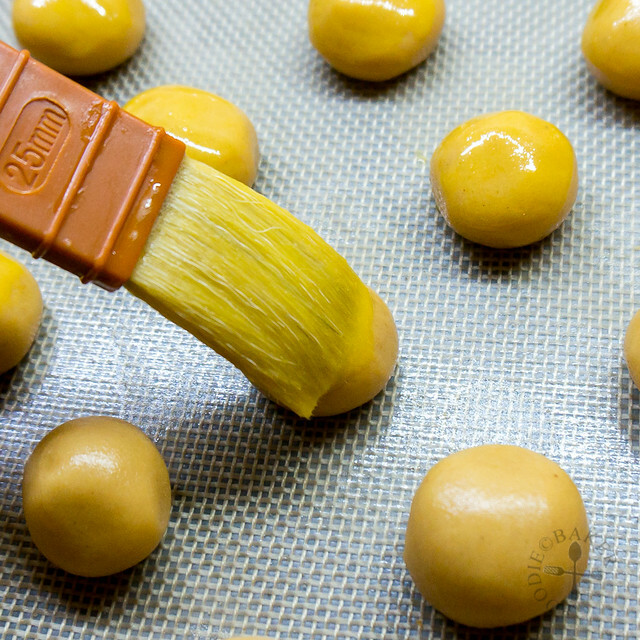 The peanut powder is then mixed with flour, sugar and oil into a dough before they can be portioned out and baked to deliciousness. These Peanut Cookies I’m featuring today are made via a shortcut method – by using Peanut Butter (hence the name Peanut Butter Cookies!) With peanut butter, all the roasting, peeling and grinding steps are redundant, and they are almost as delicious as the traditional ones! 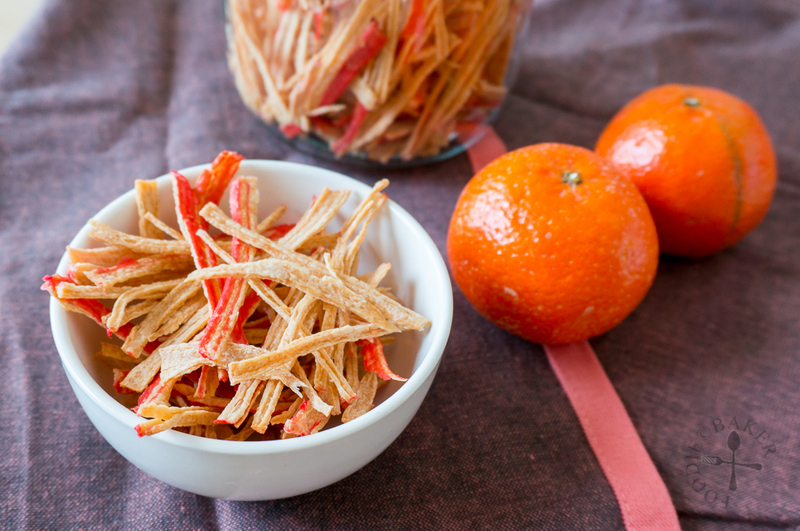 Making these cookies is really easy because no mixer is needed! 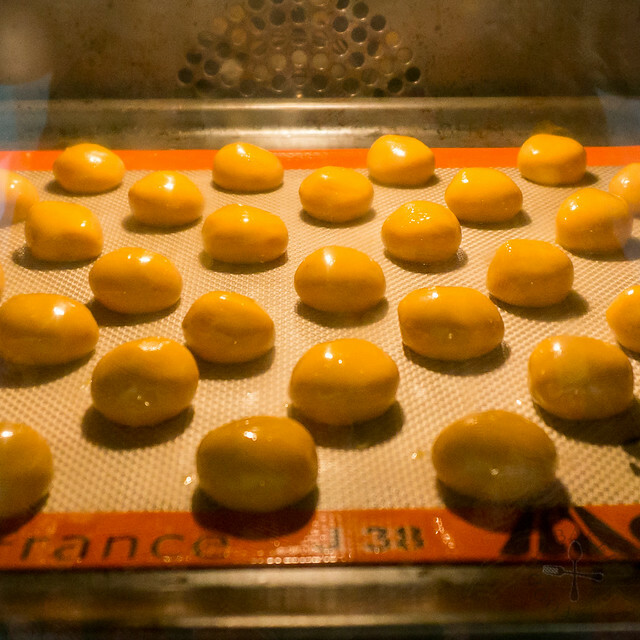 All you need is to combine the ingredients together, knead them into a dough, scoop them into round balls, brush them with egg wash and they are ready for the oven! 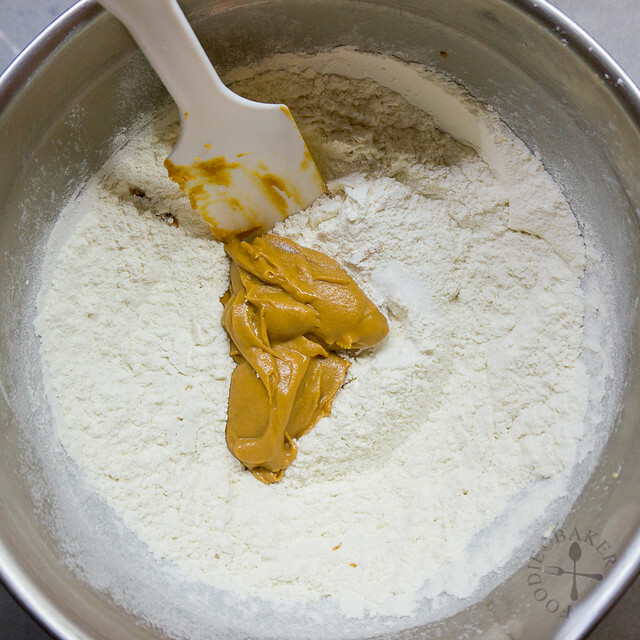 Just note that a good-quality peanut butter is a must to yield delicious peanut butter cookies. I would have used Skippy brand (my favourite peanut butter spread), but I ended up using a local brand here as it’s a lot cheaper and thankfully the cookies still taste good. Both chunky or smooth peanut butter will work here – it depends on what kind of cookie you like. Icing sugar is used instead of any other kind of sugar because it will give the cookie a melt-in-mouth-texture. Salt is added to balance out the sweetness and to just give a hint of saltiness. I used canola oil as I couldn’t find any peanut oil here, which would have made them even more peanut-y. These peanut butter cookies won’t fall apart when you hold them in your hands but once you put one in your mouth, it will just crumble and melt away. 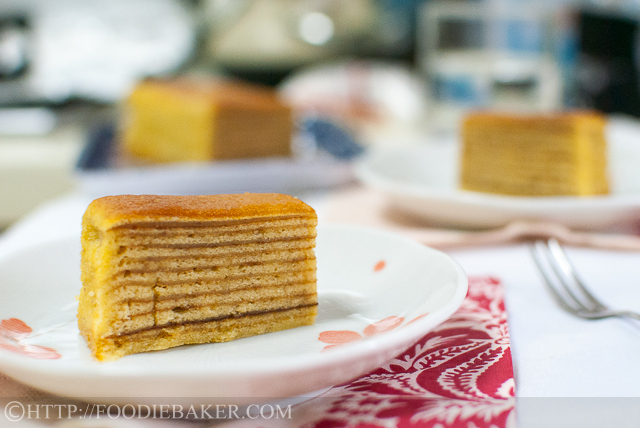 It’s rich, peanut-y and sooo delicious that one cookie is definitely not enough! 1) Sift flour, icing sugar and salt into a large mixing bowl. 2) Add in peanut butter. 3) Add in oil. 4) Stir with a rubber spatula or with your hand until a dough is formed. 5) Scoop a spoonful of dough and roll into 1-inch balls or scoop 10 grams of dough and roll into a ball. 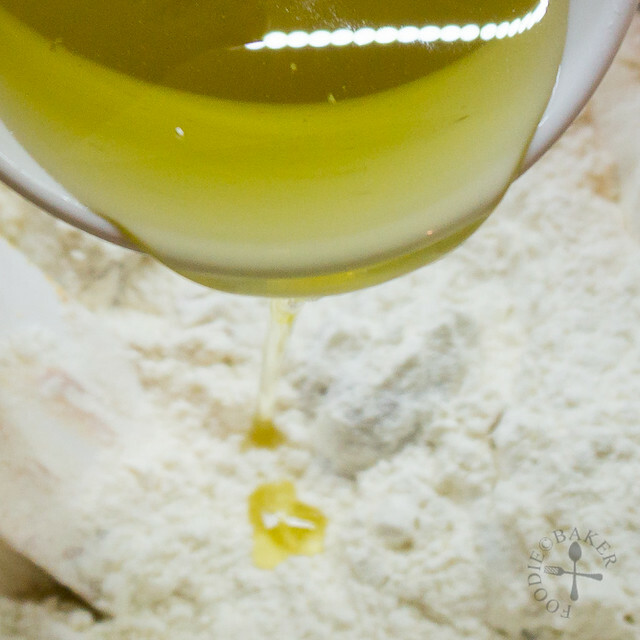 6) Brush the top of the dough with egg wash, making sure they do not drip down to the bottom of the dough, otherwise the bottom may burnt during baking. 7) Bake the cookies for 12 to 15 minutes until the cookies crack and the top is golden-brown. Once the cookies have cooled, dig in! 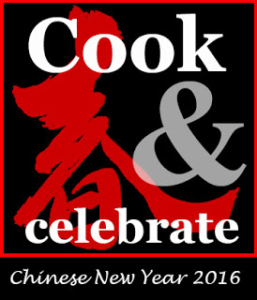 This is for “Cook & Celebrate: CNY 2016” event organised by Yen from GoodyFoodies, Diana from The Domestic Goddess Wannabe and Zoe from Bake for Happy Kids. 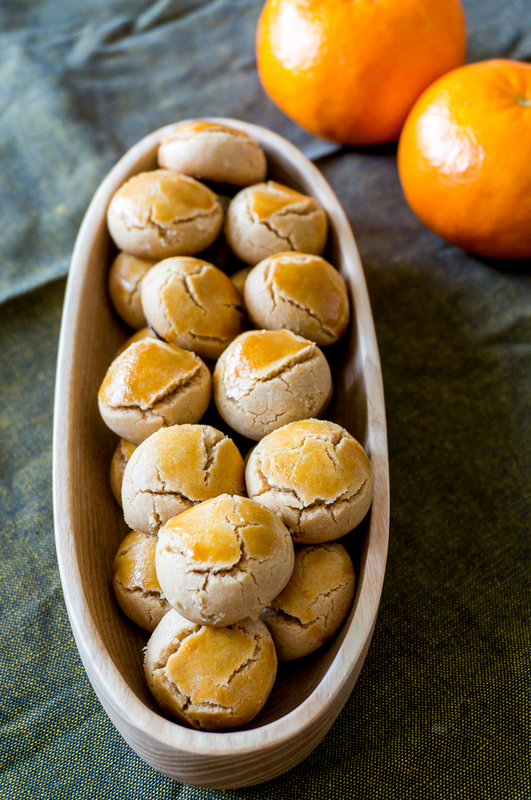 These Peanut Butter Cookies are quite dry, which is how traditional Chinese Peanut Cookies taste like. If you prefer a moister and a more cookie-like peanut butter cookie, do check out my favourite recipe! Preheat oven to 180C / 355F (not fan-assisted). Line a baking sheet with baking parchment. Set aside. 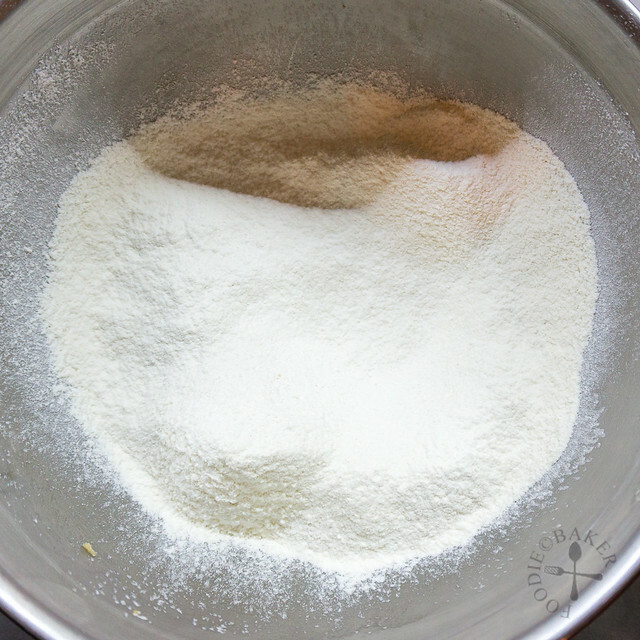 Sift flour, icing sugar and salt into a large mixing bowl. Add in peanut butter and oil. 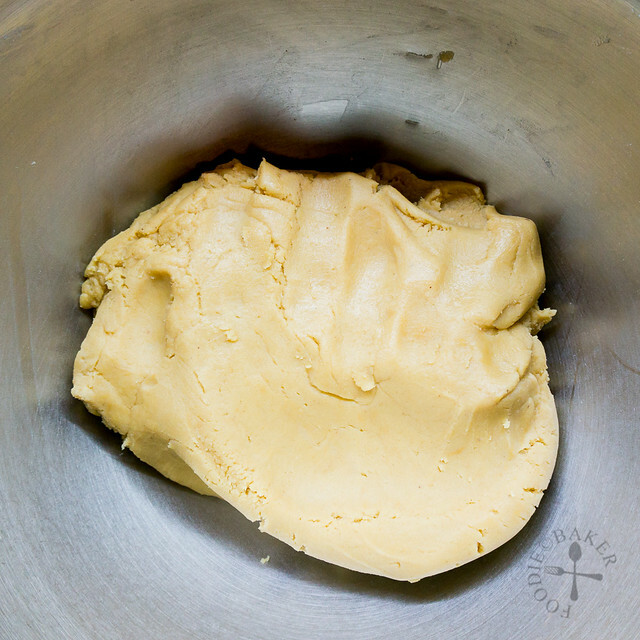 Stir with a rubber spatula or with your hand until a dough is formed. 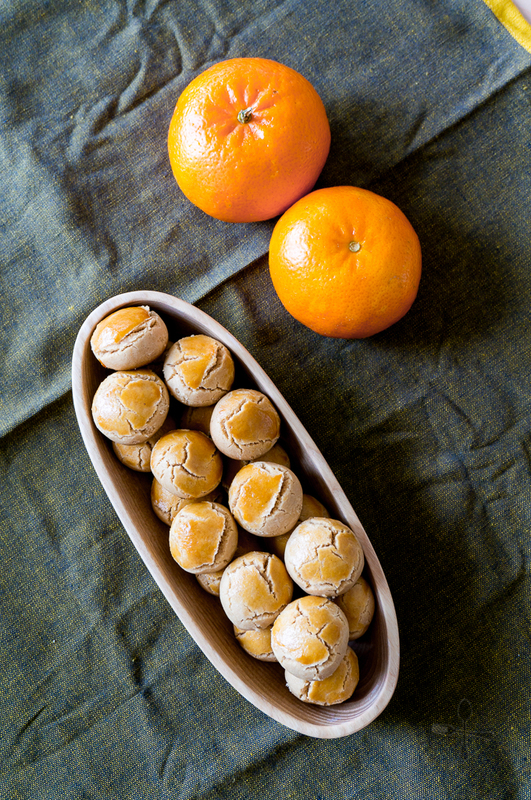 Scoop a spoonful of dough and roll into 1-inch balls or scoop 10 grams of dough and roll into a ball. Repeat until all the dough is used up. 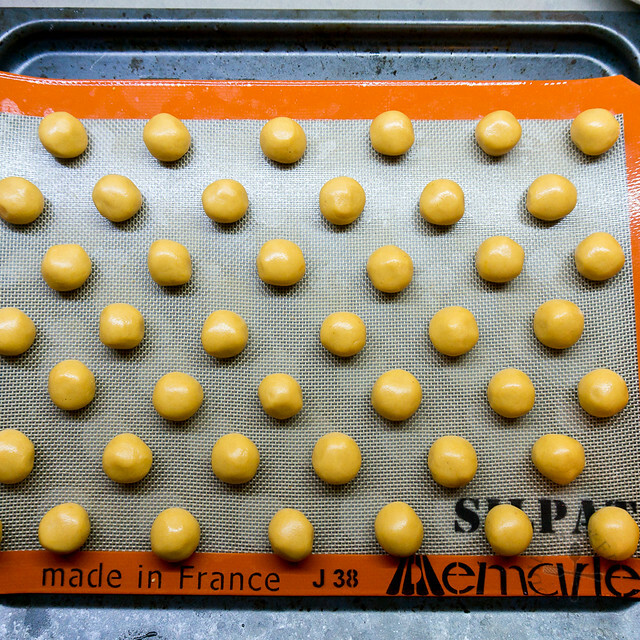 Place them 1½-inch apart from each other on the baking sheet. Combine egg yolk and water together in a small bowl. Brush the top of the dough with egg wash, making sure they do not drip down to the bottom of the dough, otherwise the bottom may burnt during baking. Hi dear, may I know why is my dough so sticky to the hand. I have added the right amount of ingredients but its still sticky to my hand and I couldn’t roll it into a dough form. Try chilling the dough for 30 minutes to 1 hour. I remember the dough is not very sticky for me but the original author said hers is sticky and suggested dusting the hands lightly with flour when shaping the cookies. Hope this helps! Hihi, I read your the orher post about rice flour making it melt in the mouth. I am lazy to roast n pound peanuts , wonder can I substitute the flour here with rice flour? Thanks a lot. Hi Joyce, I have not tried this recipe before with rice flour so I’m not sure how the cookies will turn out. If you don’t want to roast your own peanuts, maybe you can get pre-ground peanuts, toast them before use? Thank you so much AL! I’m so happy you like these peanut butter cookies! I love peanut butter cookies too! Yours are so cute and look delicious. This is also my fav. 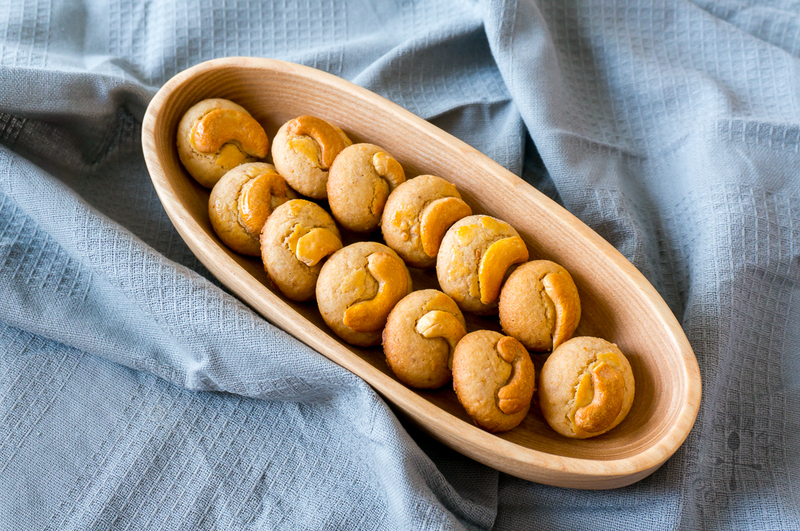 These golden peanut cookies so festive looking. Taking this opportunity to wish you & family 心想事成, 猴年如意! They are my favourite too, Jasline. I need to bake a huge batch too. The texture is beautiful! I love how crack open as they bake. Definitely a treat!